Windbreaks are planted to protect soil, crops, livestock, and homes or other farm buildings from high winds. Windbreaks provide many environmental benefits such as conserving energy, reducing flood damage, conserving and stabilizing soil, increasing property values, trapping winter moisture, and replenishing water tables. In winter they control snow drifting, reduce cold winter winds and protect livestock. In summer, windbreaks protect gardens, and other field crops from drying winds as well as reduce soil erosion. 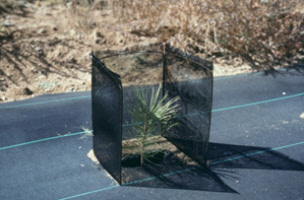 Windbreaks also provide cover for wildlife. Properly designed windbreaks can cut energy costs as much as 20 to 40 percent. Properly placed windbreaks can reduce or eliminate snow drifts on roadway, driveway and around buildings, etc. Most windbreaks are at least two rows or no more than 7 rows. Replacements should be made as soon as possible with the same species. This is particularly important the first few years. A good windbreak is one having uniform density and height throughout. 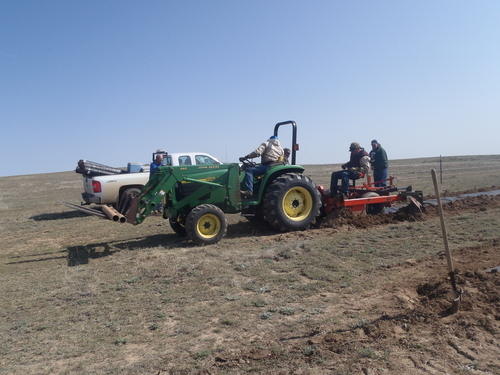 When initial planting is accompanied by the implementation of weed barrier and polymer survival accessories, we’ve witnessed survival rates increase from a 30-35% up to 90-95%, so we strongly recommend utilization of these aides when installing your windbreak. There are designs for windbreaks that can be planned for you by the staff at the conservation districts or the NRCS. Call to schedule an appointment to get your custom design that will be developed using the factors of your land that affect your windbreak design. Tall tree; grows well on most soils; to 7,000′ elev. ; good windbreak species. Proven Performer and highly recommended for multi-row windbreaks in our area to provide height to central row of multi-row windbreak, or single row windbreak where height is needed. 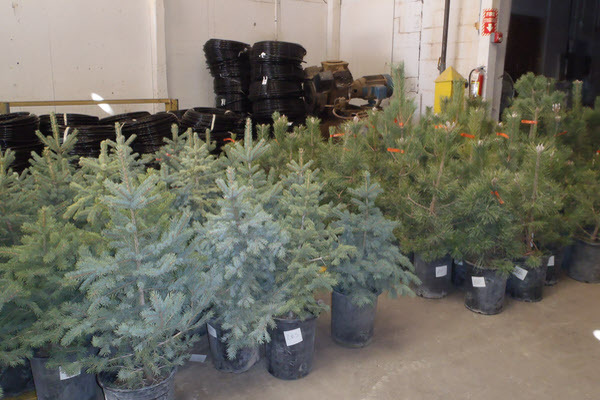 Medium to tall tree; hardy and drought resistant; tolerant of a wide range of soils; to 7,000′ elev. ; good food value for wildlife. Although slow growing, it can be used in multi-row windbreaks for it’s height, density, longevity, wildlife value and fall color. 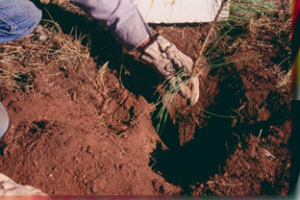 Medium to tall shrub; grows best on sandy to loamy soils; to 9,500′ Can be used in our area for in the outer rows of multi-row plantings, due to its density, excellent cold hardiness and drought tolerance, although not listed as Proven Performer due to defoliation which can occur in some years due to grasshoppers or blister beetles, disappointing landowner with scraggly look in those seasons – but does recover well from attacks. Medium shrub with edible fruit; grows well on most soils; to 9,000′ elev. Proven Performer and can be used in multi-row windbreaks in our area to provide windward side density to multi-row windbreaks OR where single row consisting of density and short barrier is desired. Medium shrub; grows well on most soils; to 9,500′. Proven Performer and highly recommended for multi-row windbreaks in our area to provide density to outer rows of multi-row windbreaks. Similar in purpose to the Caragana, but without the tendency to be defoliated by grasshoppers. 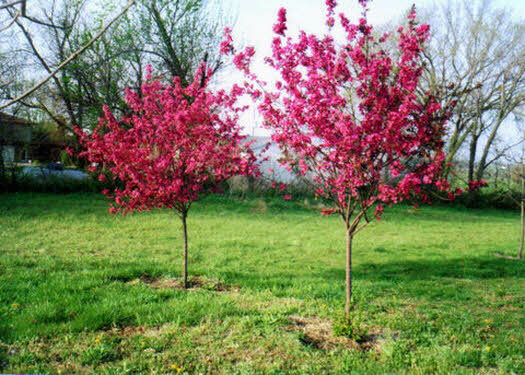 Medium, drought tolerant tree; does well on most soils; to 7,500′ elev. ; excellent windbreak species. Proven Performer and highly recommended for our area for windbreak use, especially for 1 or 2 row designs, as well in the outer rows of multi-row designs. Medium native shrub with bright yellow flowers. 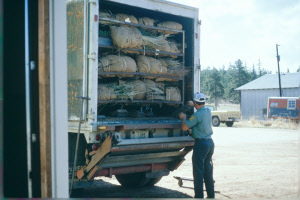 Proven Performer for our area, due to sucker sprouting habit and density, recommended for single row, short barriers, or in the windward side of multi-row windbreaks. Provides wildlife value through cover and food. Tall tree; grows well on most soils; best at plains elevations; to 7,000′ elev. Proven performer for our area and can be used in middle row of multi-row windbreaks, for height, and/or fall color – use in central row of design. Medium to tall tree; grows well on most soils; to 7,500′ elev. Proven Performer for our area, fast grower and excellent species for central row of multi-row windbreaks for it’s height and attractive fall color. Tall tree; grows well on most soils except for heavy clay; to 9,000′ elev. ; good windbreak species. Proven Performer and highly recommended for multi-row windbreaks in our area to provide height to windbreak design for single or high-density twin row windbreaks. Medium, drought tolerant tree; does well on most soils; to 9,000′ elev. ; excellent windbreak species. Highly recommended for our area for windbreak use, especially for 1 or 2 row designs. Tall tree; does well on most soils; to 7,000′ elev. ; excellent Christmas tree species. Proven Performer and highly recommended for multi-row windbreaks in our area to provide height to central row of a multi-row windbreak design.